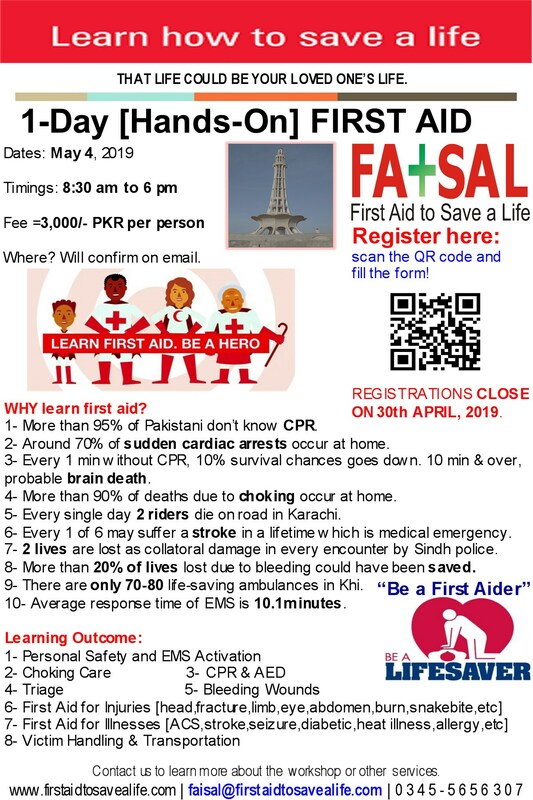 First Aid to Save a Life Pakistan is committed to communicating effectively with its staff and our customers/students. Our customers must be able to contact us whenever they wish to schedule a class, ask a question or provide feedback about an experience with our training center or our staff. In addition, all customers/students receiving MEDIC FIRST AID programs must be given contact information for MEDIC FIRST AID.